Old Navy: $7.00 Long Sleeve Tee’s For Adults Today Only! 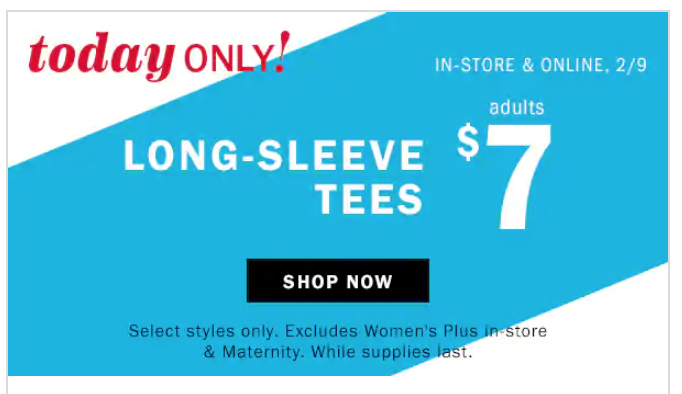 Today only, February 9th, you can shop $7.00 long sleeve tee’s for adults at Old Navy! (regularly $19.99) Check out all the included styles and stock up to get through the rest of winter! You can also spend your Super Cash to make the deal even better! You’ve only got until February 10th to spend it. You can also shop the Outerwear Sale that is going on now and save up to 50% off jean, tops, and outerwear. Jeans start at $10 for kids and $15 for adults. Select items will qualify for free in-store pickup. 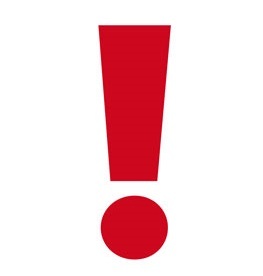 Otherwise orders of $50 or more will ship free.